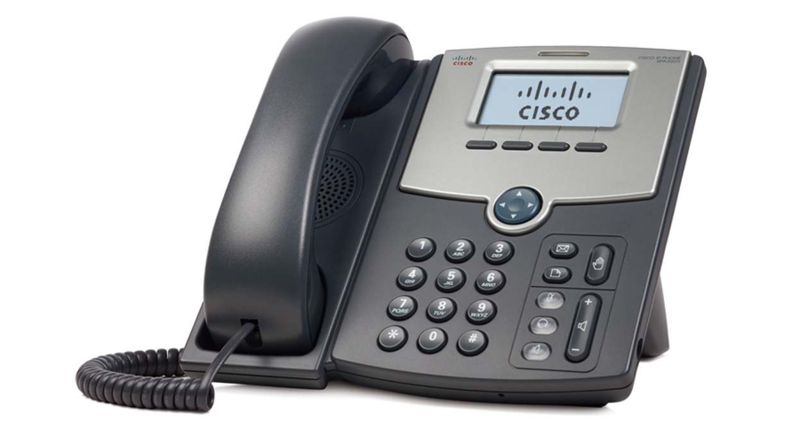 Contents - Cisco 1-Line IP phone, handset, and stand, Handset cord, RJ-45 Ethernet cable, and Quick-Start Installation. Does not include power supply. These affordably priced, reliable, and stylish IP phones are intuitive and easy-to-use. They also offer a rich user experience with wideband audio to connect employees and offices, application support to enhance productivity, and encryption for enhanced security. The SPA 500 Series delivers a versatile array of features with investment protection to help your small business succeed. Simplify and improve communications companywide with Cisco SPA 500 Series IP Phones, part of the Cisco Small Business Pro Series of network solutions. These phones offer enough features to serve everyone from manufacturing floor staff and cubicle workers to executives and remote employees. Your people stay productive, and enjoy access to voice and data communications wherever they are, but your costs stay low.